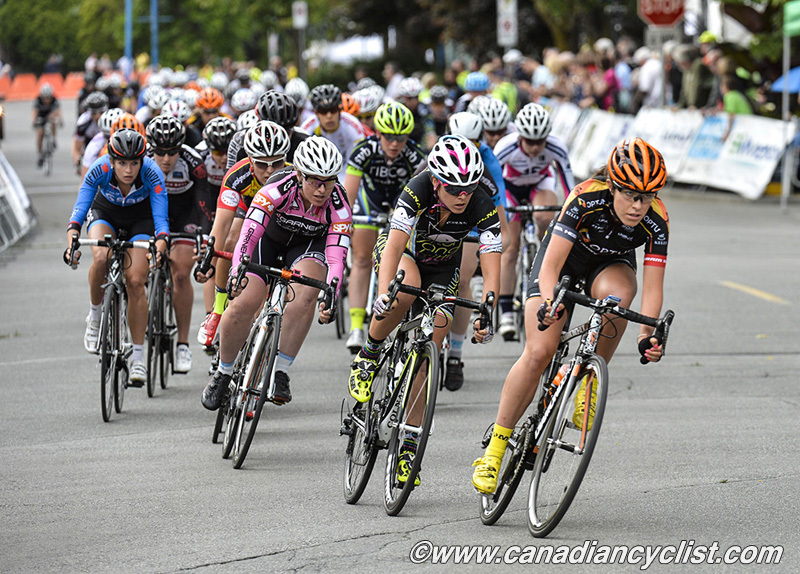 Following a successful second year, which saw six of its riders graduate from the amateur to the professional ranks, the Global Relay Bridge-the-Gap (BTG) fund celebrates the start of its third year with the announcement of its 2015 roster and the addition of Sara Poidevin of Canmore, Alberta, and Benjamin Perry of St. Catharines, Ontario, to the cycling development program. The Bridge-the-Gap fund was a created by Vancouver tech leader Global Relay in November 2012, with the support of current and former Canadian cycling professionals Svein Tuft (Orica GreenEDGE), Will Routley (Optum Pro Cycling), Ryan Anderson (Optum Pro Cycling), and retired pros Erinne Willock and Andrew Pinfold, all of whom who serve as the BTG's board. 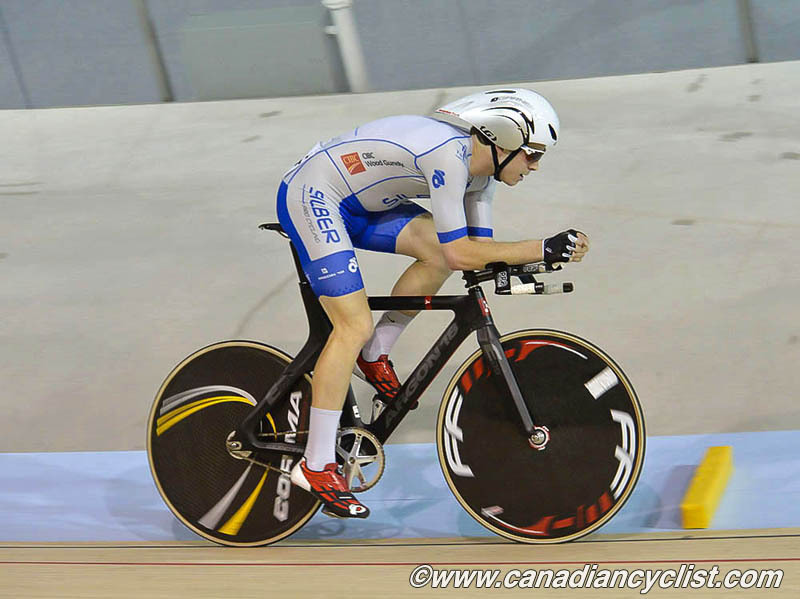 The program addresses the gap in the development of up and coming Canadian cyclists (19 to 25), by providing access to the coaching, resources and equipment they need to reach their full potential. In addition, the board's members play a key role in networking with US managers and coaches to secure spots on professional teams. In 2014, the Bridge-the-Gap program played an integral role in helping Nigel Ellsay secure a professional contract with Silber Pro Cycling and helping Stuart Wight, Bailey McKnight, Garrett McLeod and Adam DeVos join Team H&R Block Pro Cycling. On the women's side, Lex Albrecht concluded a successful 2014 by joining Team Optum p/b Kelly Benefit Strategies, one the world's best women's programs. 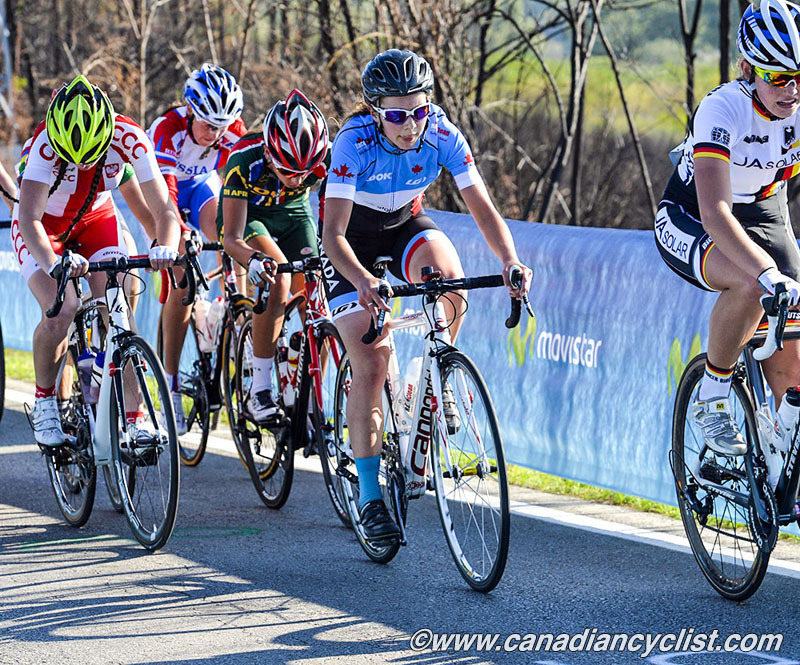 Given that a women's pro team contract often does not provide a living wage, the Bridge-the-Gap fund will continue to play a key role in the development of women's cycling in 2015 by providing many of Canada's best female riders with the support they need so they can focus their sporting goals. Annie Ewart, a Bridge-the-Gap rider whose Optum p/b Kelly Benefit Strategies team placed 4th in the women's team time trial at the 2014 World Road Championships, says, "I truly can't thank Global Relay enough for the support that I have received through Bridge-the-Gap. I am so grateful to be back as a supported athlete for the 2015 season. The fund allows me to continue to pursue my goals in cycling, without having to work a part-time job to keep my dream alive. I wouldn't be where I am today without the support from this fund. Thank you Bridge the Gap and Global Relay! I'm looking forward to a great 2015!" Bridge-the-Gap Fund Director Andrew Pinfold says he is confident that the program will graduate more riders to the pro ranks in 2015, and that several of them will represent Canada at this year's Pan Am Games in Toronto and UCI World Road Championships in Richmond, Virginia. "We're thrilled that in just our second year we continued to have such a massive impact, in terms of supporting aspiring Canadian athletes," said Pinfold. "We are very pleased to have helped six of our riders reach the pro ranks and are excited to see two - Leah Kirchmann and Kris Dahl - 'graduate' from our program and take on mentoring roles with our younger riders. 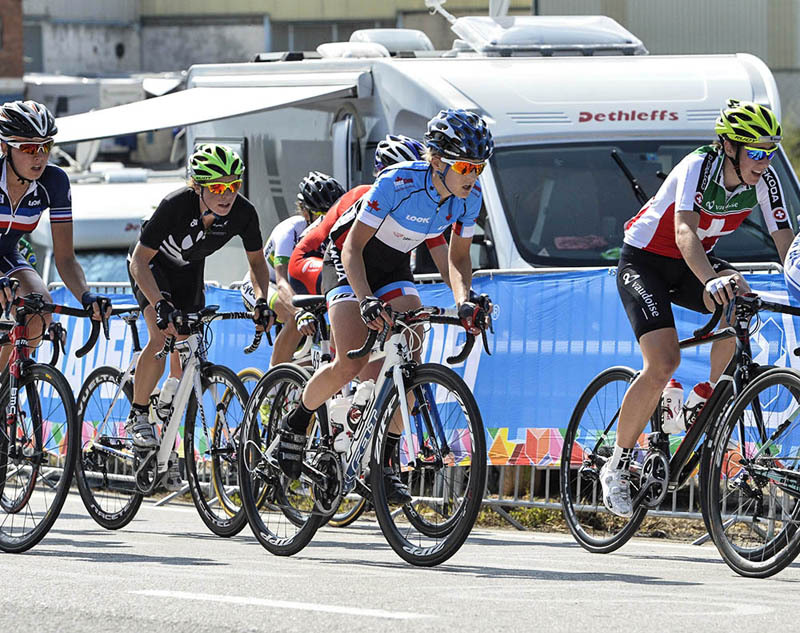 We're also proud to continue supporting our established professional female cyclists, who face significant disparities in terms of financial support compared to their male colleagues. We could not have done any of this without the support of Global Relay, whose leadership has believed in our vision from the start." "We've already seen the Bridge-the-Gap fund make a real difference in supporting the goals of Canada's up-and-coming cyclists," said Global Relay CEO Warren Roy. "We believe that we've only just scratched the surface of what the program can achieve. It has been a great pleasure to see so many amazing athletes benefit from being part of the program, and we look forward to watching the accomplishments of the 2015 roster." The Bridge-the-Gap board will start 2015 by funding 22 riders, while setting aside funds for special projects during the summer, as well as funds to support new athletes who may join the program throughout the year. "Every year, we see Canadian riders who are not on our roster at the beginning of the year, rise up and perform beyond expectations," said BTG board member Svein Tuft. "Having the flexibility to support them with mentoring and funding when they need it most mid-year will be a huge asset to the Bridge-the-Gap program. Global Relay is the world leader in cloud-based messaging, archiving and search technology for the financial sector. Global Relay is headquartered in Gastown, with offices in New York, Chicago, London and Singapore. In 2012, Global Relay invested $1 million to bring back and operate the Gastown Grand Prix, Canada's most prestigious criterium, which attracts some of North America's top cyclists and crowds of 20,000 to the streets of historic Gastown in Vancouver each July, as part of BC Superweek. Also, in June 2014, Global Relay joined forces with Cycling Canada to grow cycling in Canada and help Canada become one of the world's top cycling nations by 2020. The four-year $500,000 partnership is focused on sponsorship of the Canadian National Teams and the Canadian Road Cycling Championships.